The South West of England incorporates much beauty: long sandy coastlines, lonely moors, genteel market towns and neat, quintessentially English villages. Laying claim to popular visitor destinations Cornwall, Devon, the Cotswolds and Somerset, it’s no surprise that England’s West Country has grand hotels and hideaways in abundance. 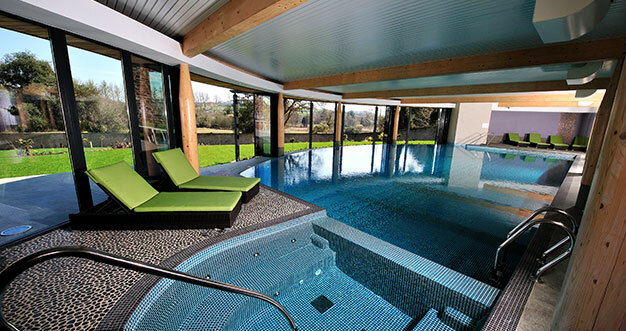 And, luckily for us (and you), that means the South West is a diamond mine for spas. 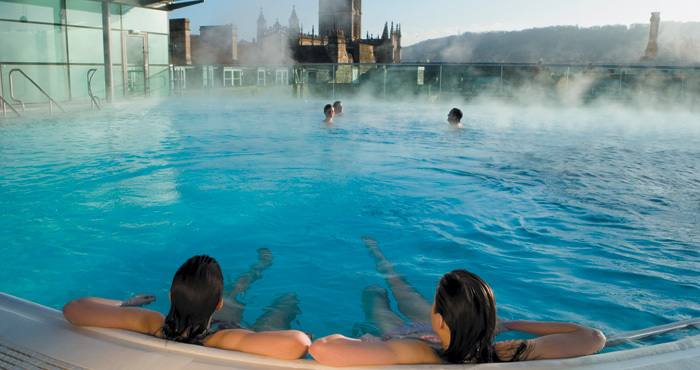 Bath is a spa destination in the truest sense of the word: enjoy the natural hot springs at Thermae Bath Spa with views over the city and surrounding hills. Yoga bunnies might like Bamford Hay Barn in Gloucestershire, while C-Side at Cowley Manor offers a masterclass in manor-house chic. And for a woodland retreat with friends, we’re all over Aqua Sana Longleat Forest in the wilds of Wiltshire. If it’s seaside spa-ing you’re after, try Carbis Bay Hotel and Spa in St Ives or the spa at the hauntingly beautiful Headland Hotel at Newquay, surrounded on three sides by the Cornish coast. For cosy weekends of pampering and good food, may we suggest Lucknam Park Hotel and Spa in Wiltshire or Cotswold House Hotel in Gloucestershire? 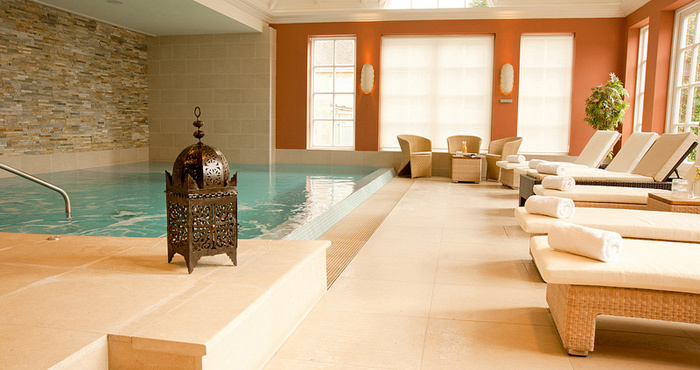 We’re always wowed by the spa facilities here. You can swim in sunlight by day and firelight in the evening: there’s a fire wall running the length of the pool. 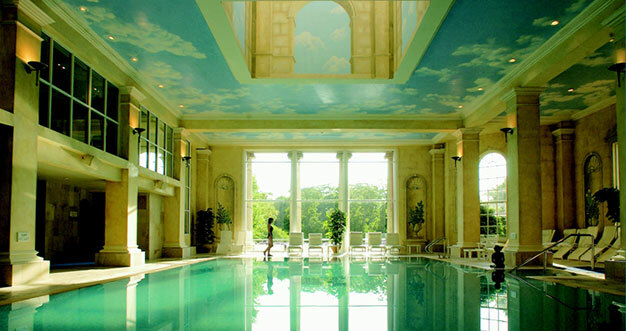 As well as an indoor / outdoor hydro pool Lucknam Park has an amethyst crystal steam room, a Japanese salt room, and a huge glass-sided sauna. And lots more. The treatments are luxurious, with key brands including Anne Semonin, Carita and ila. Hotel restaurant The Park has a Michelin star and the spa’s dedicated brasserie is special too. Lucknam Park is a treat even for seasoned spa goers … we think you’ll find everything pretty much spot-on from top to manicured toe. View the spa’s treatment menu. Lady Carole Bamford, a committed yogi, has transformed a former farm into the gorgeous Daylesford lifestyle centre. It includes a restaurant, cookery school and chic shops. The spa, as you may have guessed, is in a converted hay barn – now swathed in light, immaculately presented, and wonderfully calming. At this peaceful day retreat you can enjoy treatments that use products from the Bamford Body Collection – botanical skincare made in England. Activities at Bamford Hay Barn include yoga, Pilates and meditation, all designed to reconnect your body and mind. The instructors and therapists have been headhunted by Lady Bamford on her travels around the world. Topped off with locally sourced, seasonal, organic food, Bamford Hay Barn represents rural luxe at its finest. It’s a calming escape from the grind of real life – and a must-do for yoga bunnies. The Italianate 30-room Cowley Manor hotel in the Cotswolds is a former stately home with a hipster twist. There’s no chintz here: just modern art and a laidback, stylish atmosphere. C-Side, its light and fresh spa, is built into a hill, a development which English Heritage described as "one of the most exciting and leading projects in a historical setting in the south of the UK". This is a dream for water babies and outdoor types. Heated to 29 degrees all year round, C-Side’s outside pool is a lush place to soak up summer rays. The other pool, overlooking the woods with floor-to-ceiling windows, brings nature inside. All of C-Side’s gorgeous treatments use Green & Spring products, which are formulated with herbs and flowers native to the British Isles. 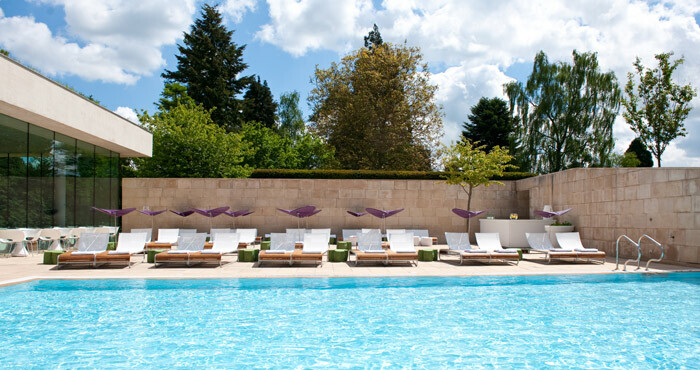 We love the Cowley Manor Pamper Picnics which you can enjoy in the parkland. 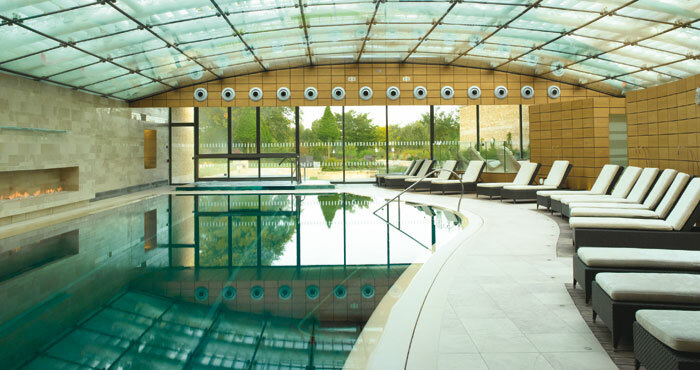 Steal away to Center Parcs on the Longleat Estate in Wiltshire, where a temple-like building – Aqua Sana - awaits your presence with its warm and welcoming ambience. This is a spa where towering redwoods and the twinkling night stars remind you of the restorative power of nature. The facilities are extensive, featuring a large relaxation room with views of the grounds, meditation spaces, gardens, a plunge pool, a café-bar and many treatment rooms. We love the heat rooms: you can really get steamy (in the cleanest possible sense) in the laconium, Greek herbal room, Indian steam room and Swedish-style sauna. Key brands here are Elemis, Decleor, CND Nails and Bare Minerals. 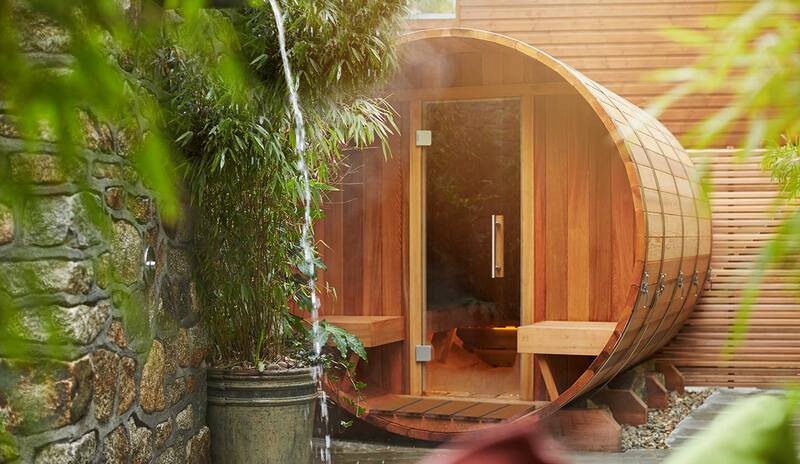 Aqua Sana Longleat Forest does get busy, so we recommend it for small groups of friends, rather than solo spa-goers seeking a peaceful retreat. If you’re organising a group visit, it’s useful to know there are plenty of areas for lounging, socialising and private dining. Cotswold House Hotel is in Chipping Camden, a Cotswold market town that’s all neat English gardens and honey-coloured stone. The spa is tucked away in a converted coach house in the Regency-era hotel’s delightful grounds: it’s a lovely place to catch some calm (and for over-18s only, so there’ll be no splashy small people). Key brands here are Le Sultane de Saba (the products are as decadent-feeling as they sound), and Jessica for nails. It’s not a big spa, but we believe that adds to the personalised service you receive from the lovely staff. 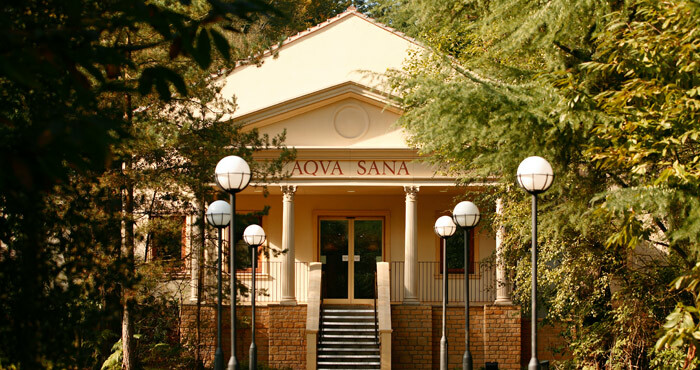 The hydrotherapy pool and thermal facilities are bright and warm with views into the gardens. Alongside the comfortable and elegant Cotswold House Hotel and its impressive restaurant, The Cotswold Grill, this spa will enhance a cosy weekend away in one of England’s most romantic regions. View the spa’s treatment menu (you’ll need to submit your details to download it). The facilities are ample, with seven treatment rooms, indoor leisure pool, a couples’ suite and lots more. Headland Spa’s 80-minute signature treatment, The Dreaming, encompasses light body massage, body scrub, head massage and facial. It uses organic products from Cornish company Spiezia (including an edible body scrub!). Other key brands are Elemis, Kerstin Florian and OPI. 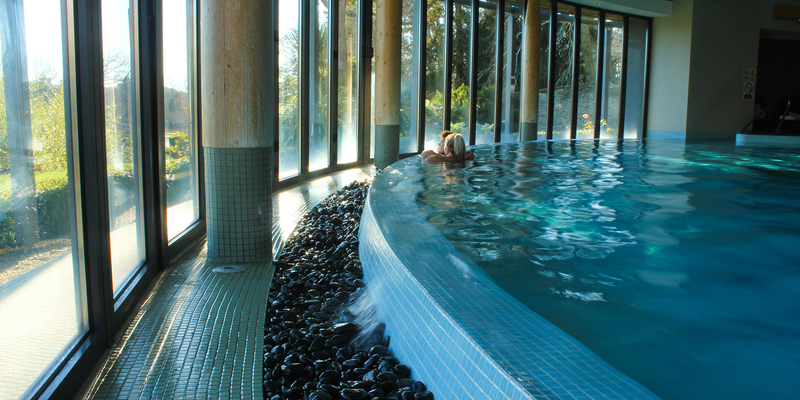 Set in 125 acres of Cornish coastline, Carbis Bay Hotel is a picturesque setting for a spa destination. 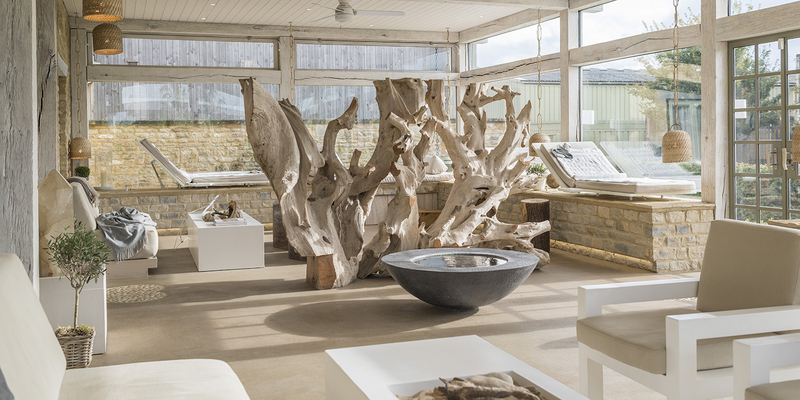 With pebble-lined walls, white-wash woods and cool, earth furnishings it's the perfect place for a peaceful seaside spa escape. The spa is set over two levels, each with views over the Atlantic Ocean. There's an outdoor pool and hot tub, sauna pod, relaxation lounge and a VIP treatment suite on the beach. The treatment menu uses Voya and Aromatherapy Associates products to deliver a range of holistic and beauty-based spa therapies. While couples will enjoy beach-side treatments and the added romance of the waves, single spa goers will still feel at home. There really aren't many spas in the UK where you can sit in a sauna and watch a pod of dolphins swim across a bay, but this is one of them. C Bay Spa may be small but it delivers relaxation and refreshment in spades. View the Spa’s treatments menu. At the heart of The Cornwall Estate is The Clearing Spa, a delightful destination for spa-goers seeking health, fitness, beauty and relaxation. Floor to ceiling windows flood the spa with light, showcasing the spa walled garden. The infinity pool which overlooks the garden is the star of the show; swim a couple of lengths or simply float around and soak up the view. There is also a poolside sauna and steam room, alongside a relaxation room and an outdoor terrace which is enchanting when the sun is shining. There are a huge range of treatment on offer, including menus for both men and teens. The natural surroundings, health-focused services and thoughtful treatment menu makes for a therapeutic offering. The Cornwall Estate is family friendly which is perfect if you’re planning on bringing your children. Many families stay in the holiday cottages on the estate and come in to use the pool. Parents can enjoy a spa treatment upstairs while the kids splash about. If you're after a peaceful swim, adult-only swim times are from 7am to 9am and after 6pm. This is a spa in the true sense of the word: built around natural hot springs. Combine that with the beauty and popularity of the city of Bath, and there’s little wonder spa-goers queue around the block for Thermae Bath Spa. For that reason we say go early or late to make the most of your memorable day here. Thermae Bath Spa has two separate spa buildings: the Cross Bath (where the natural spring rises to the surface) and the New Royal Bath (where you’ll find modern pools and thermal facilities). We love swimming in the dramatic rooftop pool, with views across the city, the abbey and the surrounding hills. The key brand here is Pevonia. Chewton Glen is a real country house hotel with all the class, comfort and quality you could wish for. A place for lavishing and pampering; don't book in for a few days and expect to come away thinner as the food is simply too good. But breathe in the country air and you'll already feel healthier. Day guests are also welcome, for anyone looking to check out the spa without checking in.